To help raise money for Extra Life (donate here), Keith Baker, the creator of Eberron, has worked up an unofficial Warforged race for DnD 5E here. Check it out and help a great charity in the process. So, who knows if I'll get around to this or not, but the other day I was thinking of mixing the Cypher System, the Strange's basic premise, and the Marvel Universe via ARMOR as one game. ARMOR is a counterpart to SHIELD who deals with extra dimensional threats...or better yet threats from other recursions. If the game ever gets off the ground Vectors become Super-Soldiers, Paradoxes become Mutants, and Spinners become Spies. The thought is that ARMOR is run by Jennifer Kale and Colonel Carol Danvers and the PC's are from and center in protecting the Earth. Back at the turn of the century, I waited for each of Shane Hensley's design diaries on Savage Worlds development. I went out and bought the Great Rail Wars to get a feel for the system and even remember the hack posted on Pinnacle's website for Deadlands that was inspired by GRW and the see for Savage Worlds. But as much as I loved SW, the best response from my group was ambivalence. No one seemed to hate it, but no one seemed to love it either. And so, as I took a sabbatical from gaming, SW got shelved. Further, when I returned and began taking stock of how to combat Gaming ADD and what systems I wanted to stick with, SW remained shelved because it doesn't use Hit Points and I really like Hit Points. However, as part of my quest to become acquainted with whats going on in Supers gaming, I picked up the Supers Companion 2E (yeah, I have the 1E, so?) and remembered why I enjoyed its Fast, Furious, Fun tagline. I may run a One Shot of Realms of Cthulhu in place of Feng Shui 2 next monday (as a Halloween treat). I may also save it for something like Solomon Kane or Supers/Necessary Evil, I'm not sure yet. But rereading it is kind of like having lunch with an old friend and catching each other up on what's happened in each other's lives. This is a loose run down of what's been happening in the last 4 session of my Feng Shui 2 game. 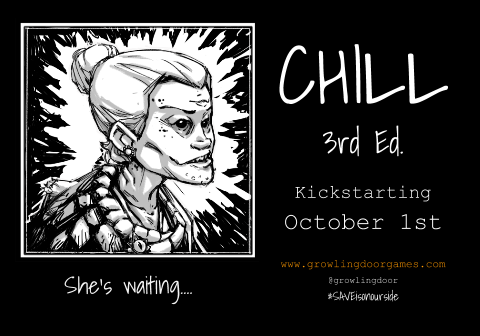 I posted yesterday about backing the Chill 3rd Edition Kickstarter and why you should too. After fully reading the Chill 3rd Edition Quick Start that you get immediately upon backing at any level, it reminded me why I like Chill 2nd Edition and why I prefer it to the Grandaddy of all Horror RPG's, Call of Cthulhu. While I'm a huge fan of the Cthulhu Mythos (especially the work of Brian Lumley) and think the RPG is extremely well crafted, neither the sub-genre nor the theme of the RPG mesh with the style of game I want to run. Chill's type of monsters and set-up lend themselves better to the type of thrillers that my mind crafts: horror with heavy doses of adventure and, hopefully, plenty of monster slaying. First, I think SAVE and the Unknown are a better foundation for a campaign. Cosmic horror with its slow trudge to insanity isn't the type of horror game I aim for, and I don't believe it lends itself to long term campaigns. Second, the monsters of the Unknown aren't all powerful ungodly creatures with cultists whose goal is to bring about the end of humanity--whom the Great Old Ones don't even notice. Chill draws more from Supernatural, Kolchak the Nightstalker, Van Helsing, and Fright Night. Third, I like that the player characters have access to psychic powers, called the Art. The Art can be used by succeeding on a percentile roll, spendinging willpower or stamina or the use of a new mechanic not present in 1st or 2nd edition, where you can turn a token from the light side to the dark side. Once the dark side is visible, the GM then can use that dark token by turning it to the light side for various effects of the Unknown. Finally, what I prefer about Chill is that SAVE agents have better chances to succeed on their percentile rolls, generally, than characters from Call of Cthulhu. On top of this, rolls have varying degrees of success or failure to help mitigate actions. If you roll less than your skill or ability but more than half of it, you have a low success. If you roll less than half of your ability or skill, its a high success. 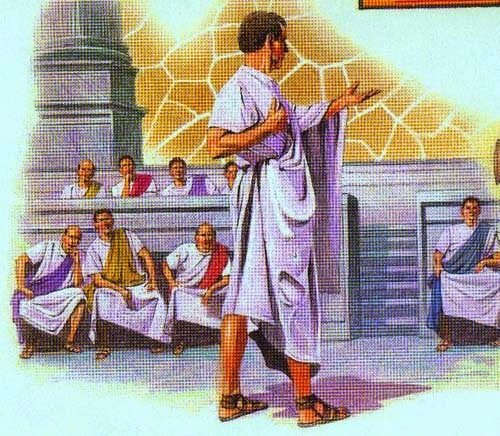 If you succeed and roll doubles you colossal success. Looking at skills, it appear (this is my one gripe, since I didn't see it addressed in the Quick Start) that Basic training in a skill (noted with a "B" in front of the percentile chance, e.g. B62) grants a 10% bonus. While, Expert training (noted with an "E", e.g. E92) grants a 25% bonus. Overall, I'm sold on Chill 3rd Edition and just wish I'd gotten on the SAVE Journalist level, so I could get access to all of the playtest versions of future books. Blow things up! Blow things up! Blow things up! If I remember correctly that is the battle cry of the Jammers...imagine freedom fighters all cut from the same cloth as the Ticks' Midnight Bomber What Bombs at Midnight! But with Talking Apes with cyberwear as their fire support. Apes named Battlechimp Potemkin and Furious George. If you don't know, Feng Shui is based off of a '90's era CCG named Shadowfist. The elevator pitch is Big Trouble in Little China the RPG. Its based on Hong Kong action movies and involves time travel, magic, explosions, kung fu, guns, monsters, magic, explosions, demons, animals posing as humans, and just about anything else you can think of including, but not limited to explosions. If you control enough Feng Shui sites, you control reality. You rewrite it and dictate its very nature. Until someone comes to burn Burn your sites. Someone like the PC's. Basically, its the game that let my GMing style develop, as I was more inspired by the pacing of cinema than fantasy novels. Basically, you just need to back Feng Shui 2 and then you can thank me. (As an aside, when you back it you get the playtest rules. Our playtest session monday involved a criminal mastermind wanting to prevent the Umbrella Corporation in Raccoon City from rolling out zombies...by cornering the market on the serum while fighting dead Presidents of the United States AND stealing the Liberty Bell. Meanwhile, CyberApes from the future were rampaging through the city). The first horror RPG I ever owned and ran was Mayfair Game's Chill (2nd Edition). If I knew about Call of Cthulhu I don't remember it. I really dug the game and as a newbie DM running the introductory adventure had no scares and a player figured out the set up in under five minutes. I don't think we ever played it again. We might have made characters. But I still have fond memories of that game. Part of if was the layout and graphic design of the books...I was reading it while a Graphic Design major in college. And part of it was the cool ads, anybody remember the one about Lizzie Borden? The killer is still among the Unknown. SAVE was a cool concept too. Well Growling Door Games is almost done with the first draft of the 3rd edition (more Mayfair than Pacesetter). And they have a Kickstarter! I backed it at the $1 level to get the playtest and am upping my pledge. The Playtest is 40 pages and very well presented. Areas of Proficiency (1st level): You are proficient in Persuasion and two from Arcana, History, Investigation, Medicine, Nature, or Religion. Langauges (1st level): Two of your choice. Panjandrum's Example (Level 1): When you spend a Luck point to grant another character advantage before that character makes a d20 roll, you and the recipient both gain temporary hit points equal to 5 + your char-acter level in addition to the normal benefit of the Luck point. These temporary hit points last for 10 minutes. Magistrate (6th level): You are empowered to arrest, charge, try, and sentence criminals. You can’t use these powers against nobles, priests, or your fellow panjan- drums without first obtaining a special writ from the highest authorities. In other cities you can use these powers against criminals from your home city, but you need the approval of the local authorities to do so. Also, double your proficiency bonus on both proficiencies you chose at level 1 from this background. Optionally this is a feat and can only be taken if you have this background and are at least 4th level, additionally gain +1 Intelligence. High Minister (10th level): You are appointed to your home city’s ruling council or top-ranking circle of royal advisors. You are awarded a palace, a staff of loyal servants, and a moderate income in the form of a royal stipend, investments, or duties that you are entitled to collect. You also gain a permanent force of guards to protect your palace and serve you. Also, you have advantage on all Intelligence Checks. Optionally this is a feat and can only be taken if you have this background and are at least 8th level, additionally gain +1 Intelligence.